The government may double to $3 billion the amount it injects into state lenders this year. That’s welcome, but still a fraction of the $50-odd billion they need. India needs to be more aggressive about fixing balance sheets and governance before outside investors will step in. 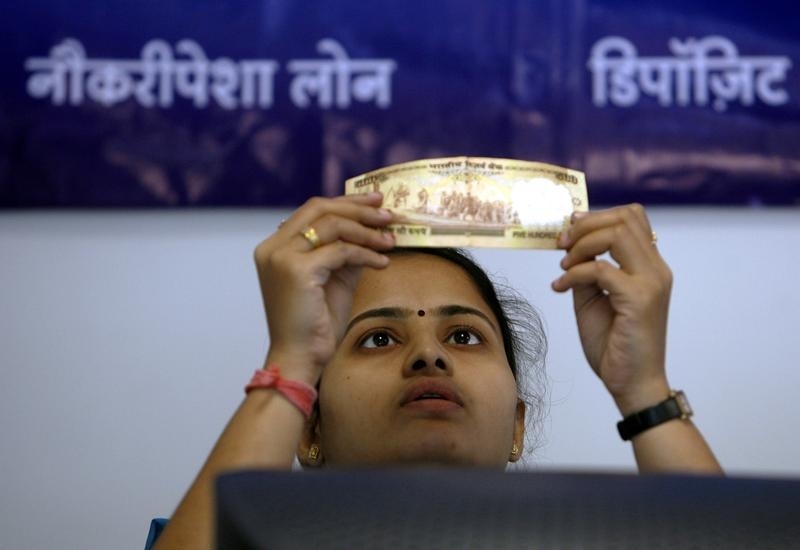 A bank employee checks a 500 rupee note at a counter of Yes Bank's microfinance division in Mumbai October 25, 2008. India is aiming to inject $3 billion into state-backed banks this year, Finance Secretary Rajiv Mehrishi told local new channel CNBC-TV18 on June 23. ”What we are aiming at is an infusion of about $3 billion in the current year and perhaps twice as much in the next year,” Merisihi said during a visit to the United States. The amount is more than double an earlier estimate of 79.4 billion rupees ($1.25 billion) made in the government’s budget for this fiscal year. Shares in Union Bank of India rose 5.5 percent, Punjab National Bank rose 3.7 percent, Bank of Baroda rose 2.7 percent on June 23.